Professional tile and grout cleanings is necessary in keeping your floors looking spectacular. When choosing a professional tile and grout cleaning company, you want to pick the best on the market. KIWI Services in Copper Canyon has spent 30 years cleaning tile and grout to perfection, and if you are looking for a company that is dedicated to providing the best cleaning for your tiles, look no further than KIWI. KIWI’s tile and grout cleaning services in Copper Canyon are the best you can find in the area. With our professionally trained and expertly skilled cleaning technicians that use state of the art tile and grout cleaning equipment it’s no wonder we have left over half a million customers happy. KIWI also offers a grout sealant that can be added on to keep your tile and grout looking great longer. KIWI wants to always make sure our customers are 100% happy with their tile and grout cleaning. If you should run into any issues, give us a call and we will be back out to perform a complimentary re-cleaning as guaranteed in our 30-day guarantee. Our representatives and technicians can assist you in anyway. 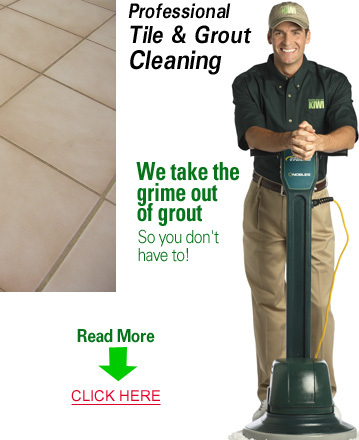 Give KIWI a call today to schedule a tile and grout cleaning appointment!